What are the most common illnesses for French Bulldogs? What could CBD do for my Frenchie? How can CBD help with allergies in French Bulldogs? Can other Bulldog Breeds use CBD? What’s the top CBD brand? Okay, he may have a little problem with flatulence, but hey, he’s still the best dog in the world. His snoring doesn’t concern you too much, but there are different reasons as to why you are considering this much raved about the supplement, CBD. Your charming little Frenchie is a massive part of your life, so we know that you will be concerned about his health and only want the best for him. So what if we told you that there was a really simple, highly regarded, natural supplements, which can help Bulldogs with a multitude of the conditions that they are often affected by? Well, in this article that’s exactly what we are going to do. Firstly, we are going to do a swift overview of why Frenchie’s get sick, later explaining what it is specifically that CBD can do to ease, prevent or eradicate these illnesses. Click here to download your free checklist so that you can discover whether you really need CBD to help your pet. We can also send our full CBD for pets report to you as well, all 35 pages of it. You can read it online or print it out if you want to keep it to hand. If you are a French Bulldog owner, click here for quick and easy access. So their name is a little confusing. They may be called French Bulldogs but they actually originate from England. Just like most varieties of Bulldogs, they were bred for the purpose of bull baiting. Thankfully, this cruel sport was banned near to the end of the Industrial Revolution, fast becoming known as great dogs for pets. During the Industrial Revolution, there was a huge movement of lace makers, who made their way to France, more specifically northern France, taking their beloved Bulldogs with them on their travels. The French loved them, and it didn’t take a particularly long period of time before England was exporting them to France. This is how Bulldogs that originated in England became known as French Bulldogs. Now, French Bulldogs are very popular as pets across the globe. They are loved for their nature, small stature and their wonderful companionship. 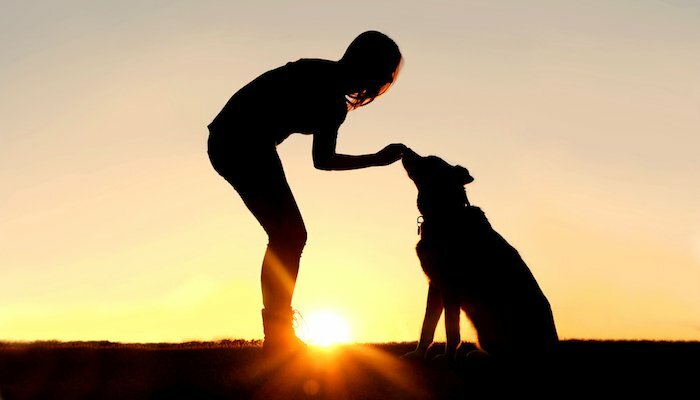 They are very friendly dogs which they show in their amount of loyalty, affection and complete adoration of their owner. They are often very protective over their family and territorial areas, resulting in them requiring training and socializing at an early age. Despite being so small, French Bulldogs have frequent weight issues and need to be exercised very frequently to aid their health. Unfortunately, just like many other purebreds, Frenchies are prone to multiple health difficulties. They often have severe allergies, though the causes of which may vary. They are also known to suffer from separation anxiety, epilepsy, and multiple physical problems, such as spine pain and hip dysplasia. The cute little snouts that we love so much, often cause breathing problems and the likelihood of them having a cleft palate when they are born is higher than a lot of breeds, due to their noses being so short and their faces being so small. Arthritis: This is a common problem for all dogs really, especially as they increase in age. Similar to that of humans, arthritis in dogs causes inflammation, joint pain, and swelling. Smaller dogs, such as the French Bulldog, tend to develop arthritis specifically in their hind legs because of the jumping motion (like when they jump from the couch or into the car, for example). Allergies: The most frequently found allergies for Bulldogs are related to that of food, contact, or what is known as inhalant allergies. These are allergies which are caused by dust, mildew or pollen. 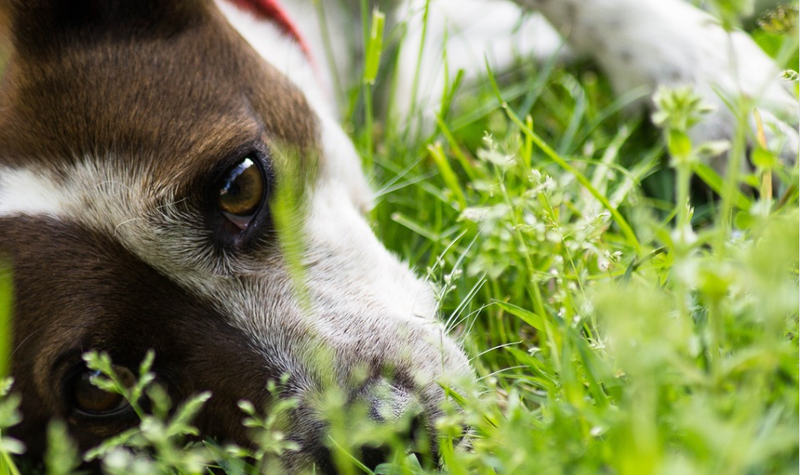 Having allergies can cause rather a great deal of annoyance for your beloved dog, but the good news is that this problem can be put to bed pretty simply. Brachycephalic Syndrome: Often affects Bulldogs and many other short-snouted, small headed breeds. Their nostrils are narrowed and air intake is therefore restricted, so French Bulldogs regularly suffer from breathing problems. Cleft Palate: Dogs like the Bulldog, Bullmastiff, Boxer and the Boston Terrier are frequently born with cleft palates because of their flat faces. A cleft palate occurs when the small tissue that enables the nose and mouth to join is unable to fully develop. This creates a small opening under the nose, above the top lip. Side effects of this are that your dog may sneeze or snort a lot, often have a runny nose, and may cough when drinking. Heat Stress: Considering that French Bulldogs are prone to breathing difficulties, it makes sense that they would really suffer from the heat, specifically outside and when they are participating in an exercise. This is why it is advised not to keep your Frenchie outside during the summer and not to overdo their exercise regime either. Hemivertebrae: This is the malformation of a dog’s spine. If your dog has this condition then they could be in constant pain, be lame in some body parts, incur stiffness, and the worst case scenario could even become paralyzed. On the other end of the scale, some French Bulldogs may have hemivertebrae but not show any signs of having it. Intervertebral Disc Disease (IVDD): Caused when the spinal discs harden or rupture, the discs push in to close by tissue and nerves when herniated. This causes, weakness, pain, and stiffness in a dog suffering from IVDD. This sometimes occurs just through a dog increasing in years but could also be from a big trauma. There are often cases that have been seen just a supposedly normal daily activity, like jumping off the couch, has caused dogs to have IVDD. Patellar Luxation: This is where the patella and tibia, the two bones that join the knee, are not in the correct place, resulting in a frequently dislocating knee. Pain occurs when the bones first slip out of place, but then the pain lessens and the dog limps or may become lame. This can be looked for when the puppy is born as it is a congenital disease, so you would know if this could be a problem for your French Bulldog. Seizures: It is a sad but common fact that French Bulldogs are frequent sufferers of seizures and epilepsy. If you would like to learn more about this and how it can affect your Bulldog, then you can read more about canine epilepsy and how CBD can help, just by clicking on this link. Separation Anxiety: A common problem for a large array of dogs, especially Frenchies, as they get so incredibly attached to their owners and very protective over them and their surroundings. Click here to read more about CBD and other anxieties which have previously been covered in this article. 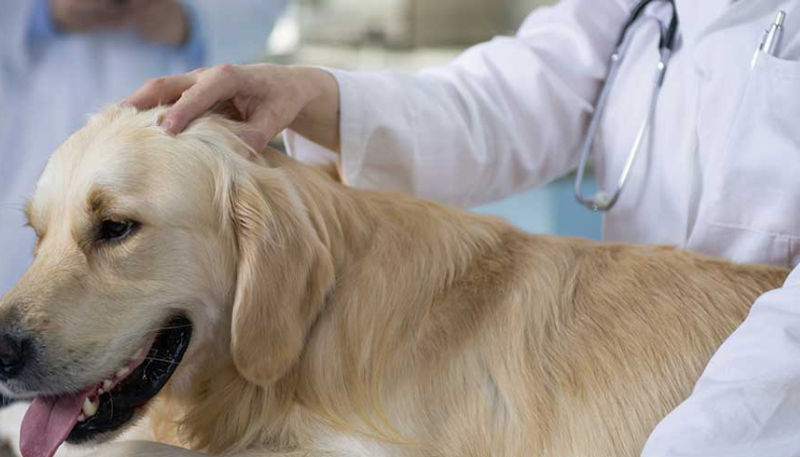 We fully appreciate that seeing health problems related to your dog is a difficult thing. 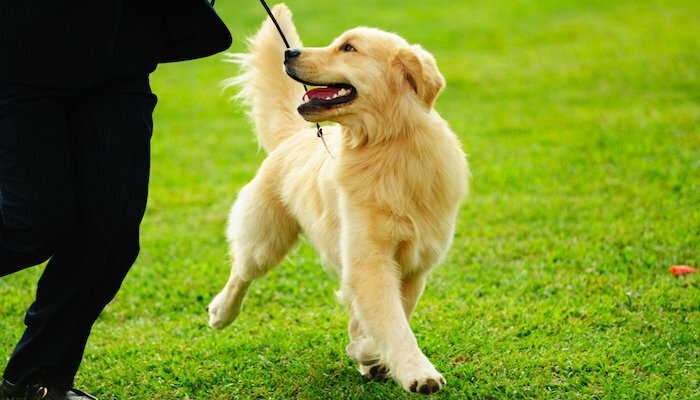 When we discovered the variety of challenges that our beloved Golden Retriever could possibly face, we were absolutely overwhelmed. We couldn’t bear to think of Rosie the Retriever having to suffer such things. 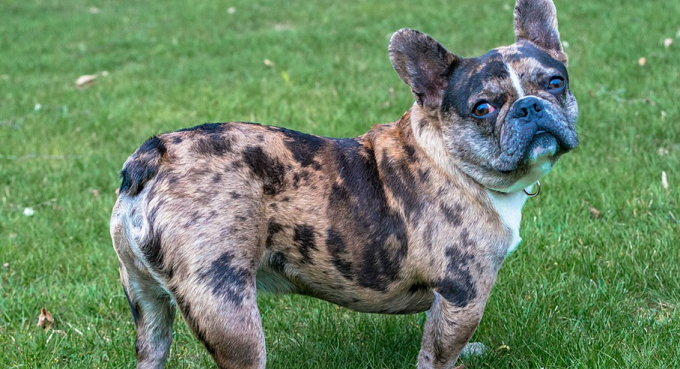 So now we are going to look at how CBD can aid you to manage two specific conditions that could affect your French Bulldog. These are arthritis and allergies. There are so many benefits of using CBD for your pets, and just because your French Bulldog (or other breeds of dog) isn’t arthritis or allergy sufferer, doesn’t mean that CBD would not still be of some assistance with other complaints. To see a much wider overview of CBD and its benefits, click here to read a related article. Anyone suffering from arthritis will swiftly enlighten you with how debilitating a condition it can be. Dogs obviously cannot talk, but why should the condition and the side effects be any different for them? Arthritis is the long-term and permanent degeneration of the cartilage that surrounds the joints. Most commonly in dogs, it affects elbows, hips, knees, and shoulders. Lots of dogs suffering from arthritis gain weight, not necessarily because they are eating more, but just because they are exercising less. Weight gain can cause a new breadth of problems itself which are much more complex. Arthritis is seen as a chronic condition and it is not thought to be curable, but CBD is a great way of aiding your dog to be more comfortable by reducing the crippling symptoms. This is thanks to the powerful natural anti-inflammatory elements that can be found in CBD. It has recently been published in the European Journal of Neuroscience that a study illustrating the endocannabinoid system (a system that mitigates the effects of cannabinoids, including CBD) proving that CBD is highly influential in easing inflammation and pain which has been caused by osteoarthritis. 2016 saw further study into this, focusing more specifically on whether CBD was able to aid the symptoms that were caused by osteoarthritis. Arthritis was replicated in a focus group of lab rats, with researchers applying differing strengths of CBD gels to the rats’ affected joints. They tested CBD gels at strengths of 0.6, 3.1, 6.2 and 62.3 in their trial. This study provided the necessary evidence that the CBD gels were able to reduce joint inflammation and ease the joint pain in the rats. Rats aren’t dogs, but they do have the same endocannabinoid system as each other. This is more proof as to why dogs can benefit from CBD if they have osteoarthritis. So if your French Bulldog suffers from the impact of arthritis or has inflammation of any kind, we would highly recommend giving CBD a try. If you would like to read more about CBD for dogs with arthritis, then please click here. Our Rosie the Retriever has hip dysplasia, and we decided to use CBD to try and ease her inflammation and pain. It was incredible! Just using CBD on Rosie for a few days and she had transformed into a completely different dog. Prior to using CBD, she would be really reluctant to exercise and was very lethargic on her bad days. But with the use of CBD, she was noticeably more active and immediately began to enjoy her walks again. She was so excited to be up and about and was the first out of the door as soon as we mentioned the “W” word. We hated seeing our dog in pain and unhappy and know that you will hate seeing your dog in the predicament, too. We wanted to help Rosie in the best way we could, so decided to take her pain management into our own hands, to also reduce her inflammation. If you would like to help reduce your dogs’ pain and/or inflammation, then we would highly recommend you consider using King Kanine’s products. To help ease irritation caused by allergies or infections, products such as CBD balms and sprays from King Kanine can be an absolute Godsend. If your dog has vomiting and diarrhea, CBD oils or capsules can aid in their control of this and deal with these symptoms, too. When you are weighing up the idea of giving your beloved pet a new supplement or medicine, we know it can be a daunting decision. But as pet owners, we all just want to make our loyal four-legged friends comfortable and give them the very best. 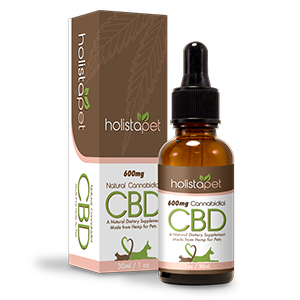 CBD is safe and reliable for your pet and is used around the world on pets suffering from a variety of conditions. Owners of French Bulldogs have reportedly used CBD to aid their dogs with anxiety, general pain, and eating disorders, also. 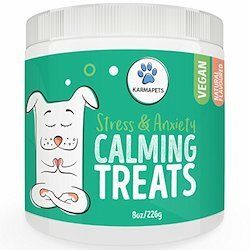 Interested in trying CBD on your dog? We would personally recommend King Kanine products having used them on our own dog and seen incredible, fast results. 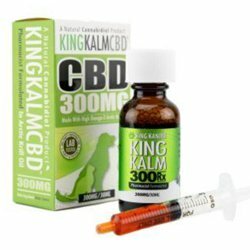 To get the best deal on King Kalm CBD 300mg RX, click here to save 23%. If skin problems are the challenge for your Frenchie, we would recommend you purchase the combination pack, containing CBD Oil, balm and spray. You can save 19% on the combo pack by clicking here. To learn more about King Kanine, read my full review of their products via this link.